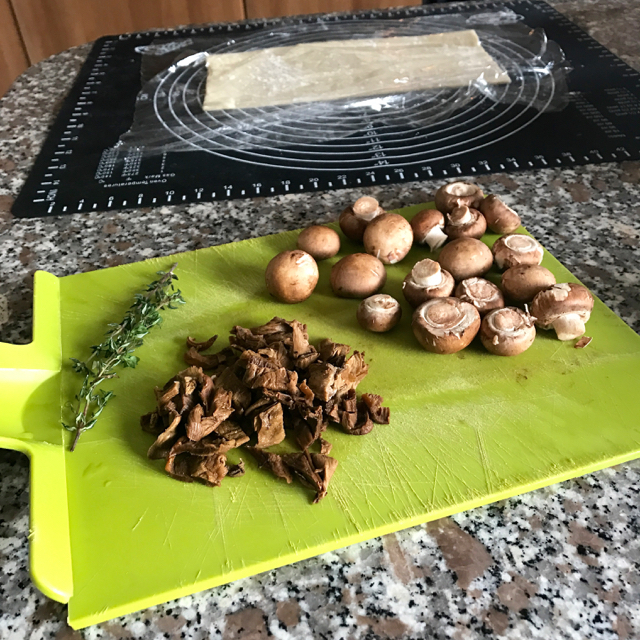 Mighty Mushroom Pie – Meat-Free Magic! 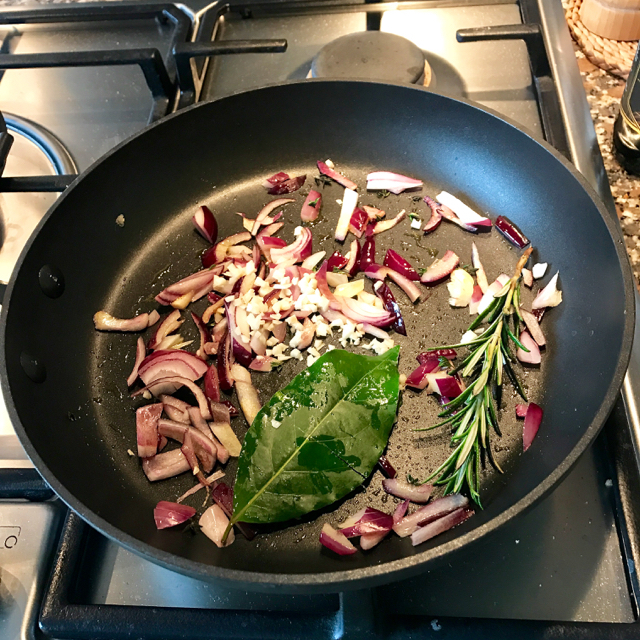 This week has been both busy and great fun with a few birthday celebrations which involved all my favourite things – spending time with friends & family, a bit of culture – Hockney art exhibition at Tate Britain, live music and of course cooking & eating! 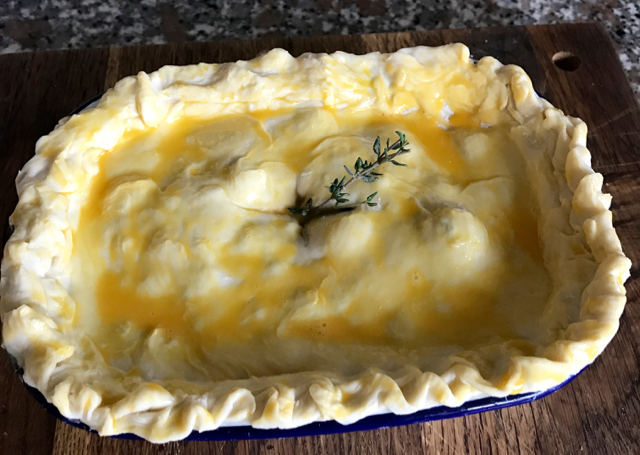 This week has been #nationalpieweek in UK so I decided to make my mushroom meat-free pie. I had a great chat with Jason, former chef, hotelier and owner of @Beer_Asylum, Pinner my local craft beer shop. 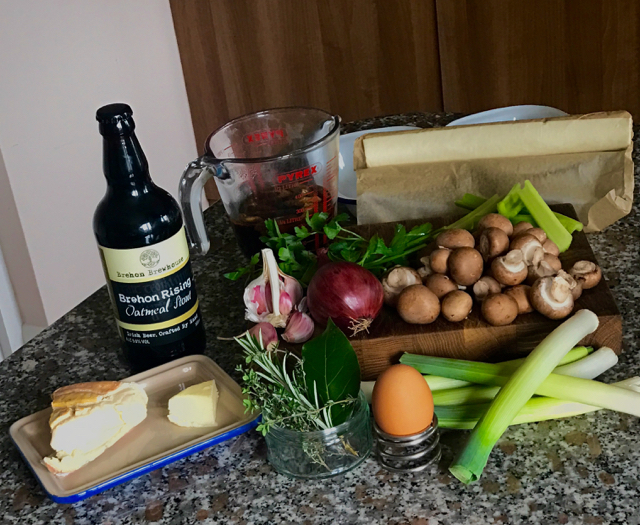 We discussed pie making and he picked Brehon Irish Oatmeal Stout (@brehonblonde) to use in cooking & to pair with the pie. 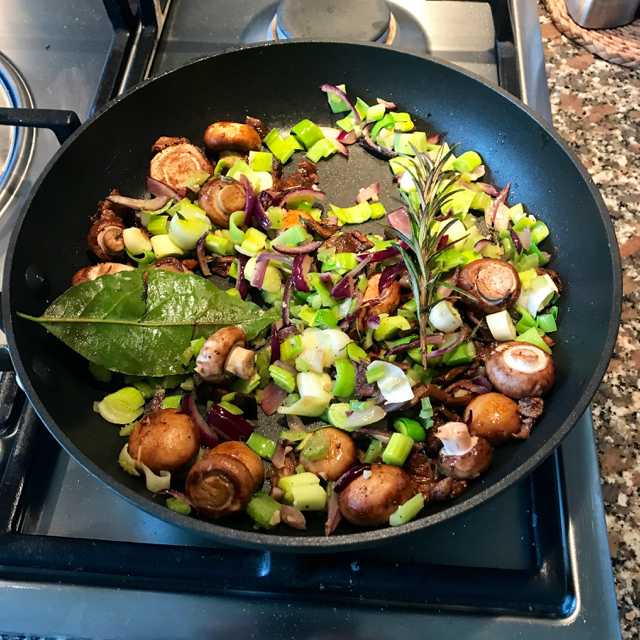 Alternatively you can use another mild stout or some dry white wine or leave it out entirely – but it adds another layer of flavour & really enhances the mushrooms. 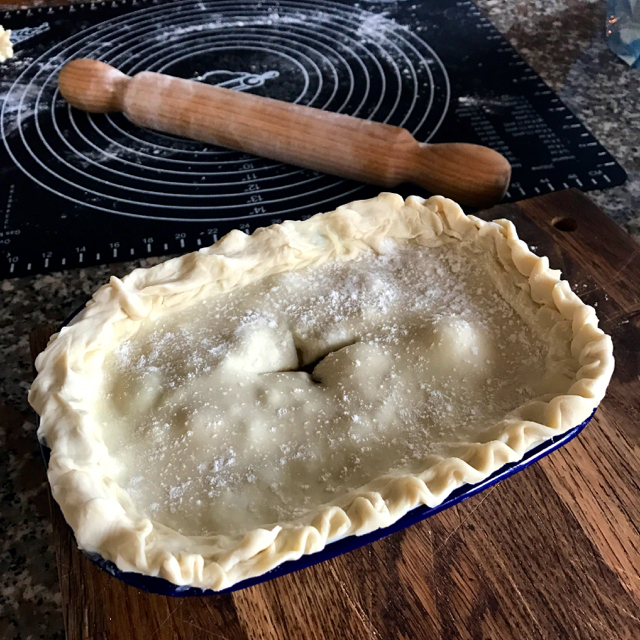 On a floured surface cut a rectangle allowing an extra 2 .5 cm/ 1 inch larger than the pie dish, use the up turned pie dish as a guide. I serve my pie with some wilted spinach, but kale, cauliflower, cabbage or broccoli would work too. 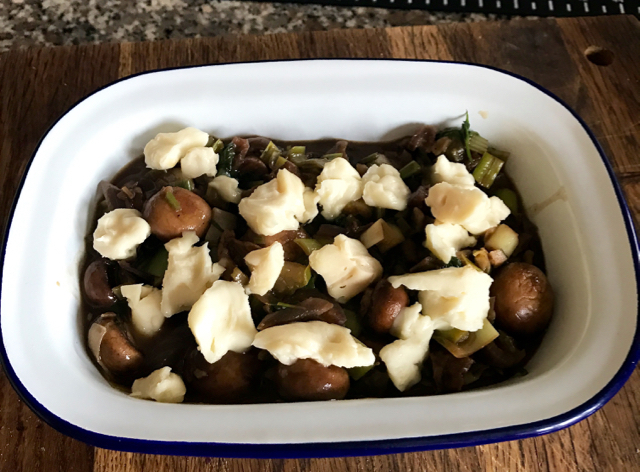 My mighty mushroom pie – no need for meat with such a tasty combo.